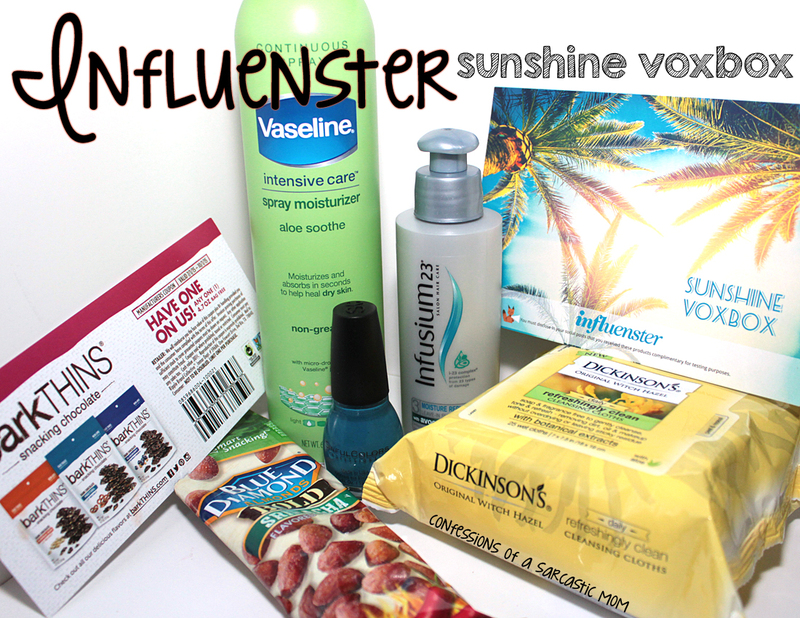 I was given the opportunity to try out the Influenster Sunshine VoxBox, and it's packed with excellent stuff! 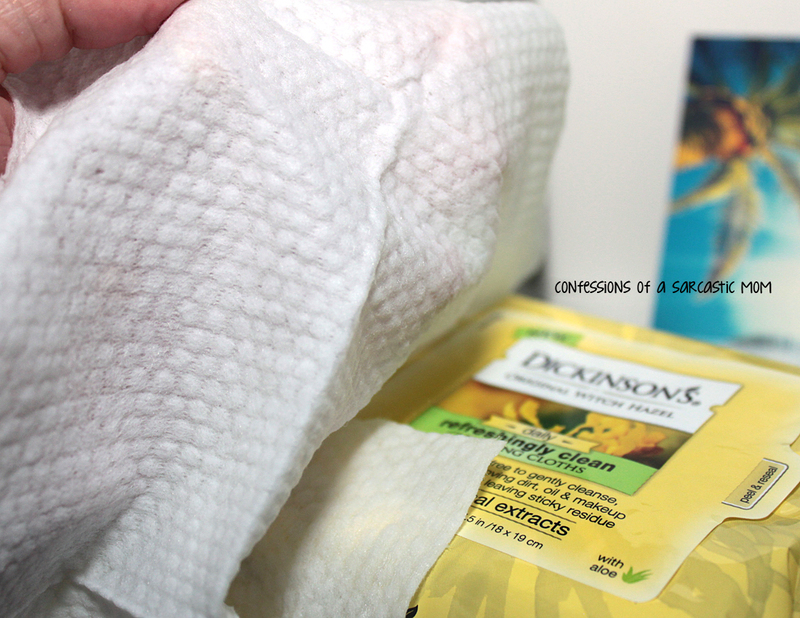 From snacks to nail polish, I enjoyed everything that came in the box! My only issue is that I don't live near any retailers that sell BarkThins, so I'm having trouble redeeming my coupon for a free bag. My favorite thing in this box? 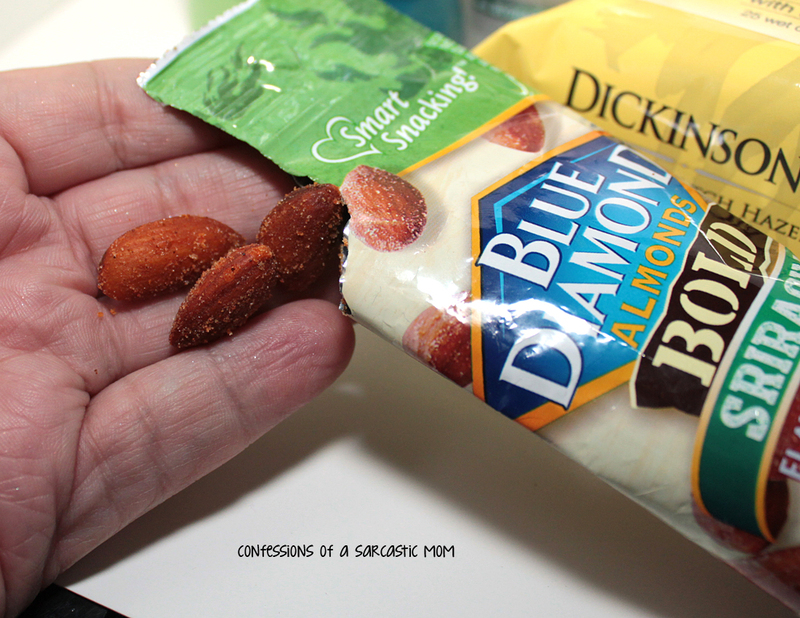 Blue Diamond Almonds flavored with Sriracha! I'm not a fan of Sriracha, but these almonds weren't too terribly spicy or hot. I will definitely buy these when/if I see them! Perfect size for snacking. 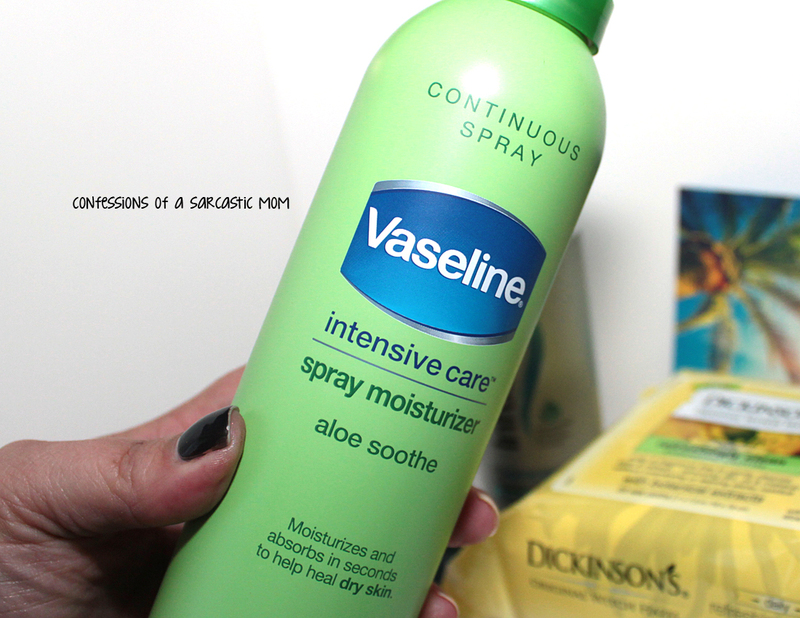 The Vaseline Intensice Care Spray Moisturizer is really nice! I've used it a few times, and I'm pretty sure that when I finish the bottle I'll buy a new one. It's really easy to use. Just spray on and rub in. Don't spray it like a hair spray tho. Test it out and see how it works for you. I spray in a straight line down my arms and then rub in that way. 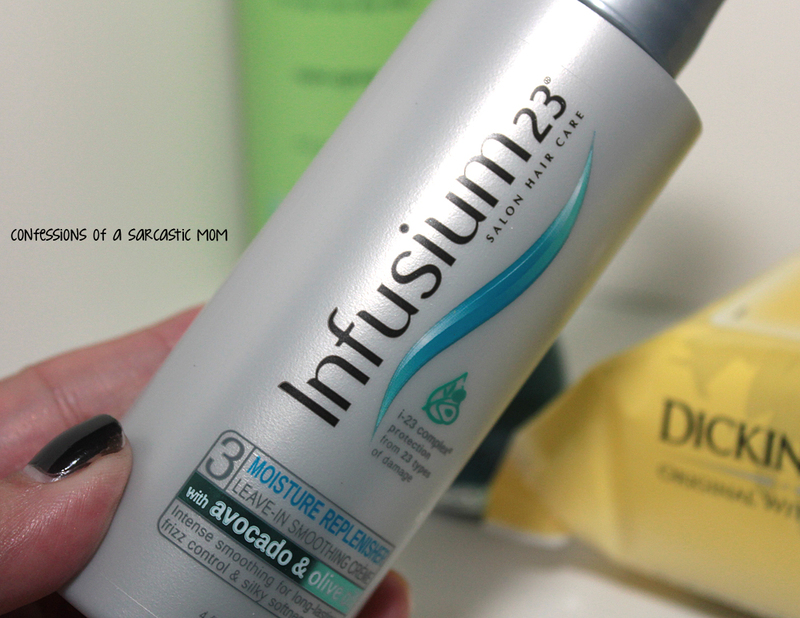 I've not tested this Infusium23 leave-in conditioner, but my hair can be super finicky, so I'm always wary of what I put in it. It sounds like a great product, and I probly will eventually try it. Last, but certainly not least, is a Sinful Colors nail polish - a gorgeous dark teal called Ocean Side. A lot of the time, I adore this color. 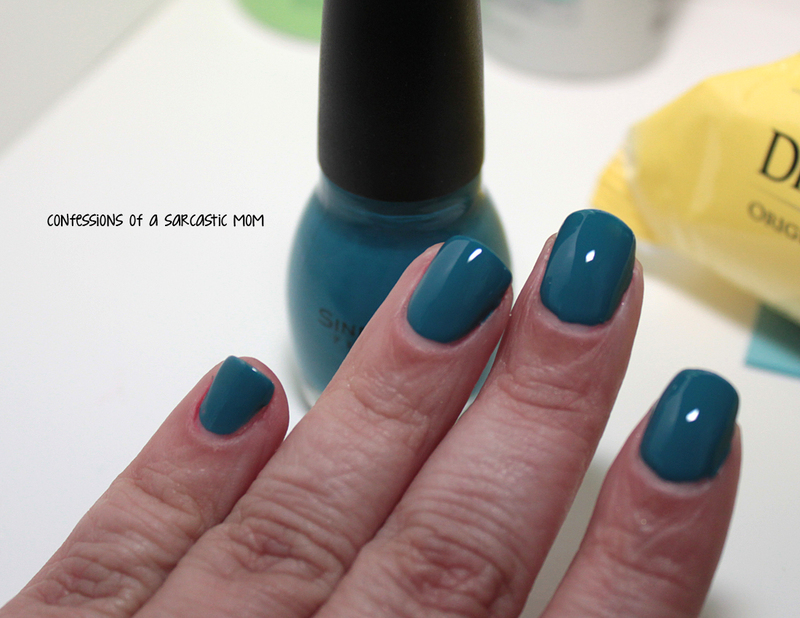 Matter of fact, I took these photos on Wednesday, and here I am on Friday still wearing this polish.